Straight paths, lined with well-manicured plants, create a formal atmosphere in the garden. Ag-Trac Enterprises in Logan, UT. Curved, meandering walkways, framed with natural plantings, create an informal atmosphere in the garden. California's Own Landscape Design in Escondido, CA. Shape is one of the most important aspects of walkway design. A straight path and a curved path will produce very different atmospheres in your garden. You'll want to start by determining if you are trying to create a formal or informal feeling. Formal garden designs are characterized by straight lines, right angles and well-manicured plants. Informal garden designs are characterized by organic shapes, sweeping curves and natural plant groupings. Get more pathway design tips. Paths in a formal garden are almost always straight. When standing at the origin of a walkway, one should be able to see all the way to the destination. 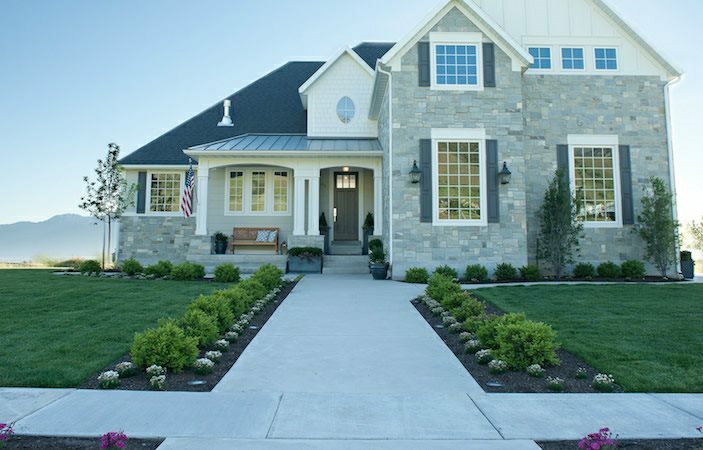 This type of path design leads the eye and the visitor directly to the focal point of the garden, which may be a fountain, statue, or even a gazebo. In a formal garden design two paths often intersect at a ninety degree angle to form a cross or "T" pattern. To emphasize the straight edges of a path tidy boxed hedges can be grown as a border. 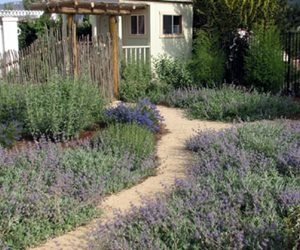 Curved paths work best in informal gardens because of their natural, casual appearance. Curves beckon visitors to come on a journey to discover what lies around the bend. The natural, flowing shape of a curved walkway also evokes a feeling of relaxation. A small garden can be made to appear larger by hiding the end of a curved path behind a structure or plants. This will trick the eye into thinking that more lies ahead. However, you have to be careful to not overdo the amount of curves; if you do people will be apt to take shortcuts through your garden. 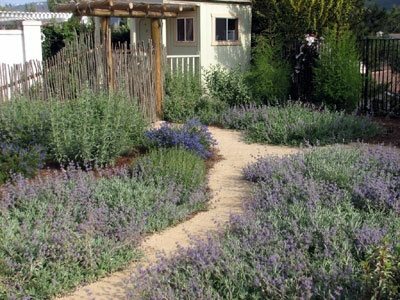 To emphasize a path's organic shape grow a variety of plants along its edge and allow them to spill over onto the path. Whether you opt for a formal or informal path, lighting is crucial. 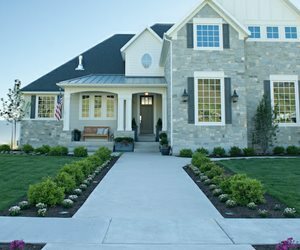 Walkway lighting guides guests safely to their destination and highlights your landscaping at night. For curved paths it is a good idea to place a light fixture where there is a change of direction.